Only one of the 3 options selected was being passed to Mailchimp along with the user's name + email + the Final welcome email being sent. Now the user's email + name is being passed to Mailchimp but, the selected group isn't. I have tested the integration and it is not working with radio buttons, for example, when you select the option to allow users to choose the group a check box field will be automatically added to the form and it will contain the groups in your list so your user can select the groups he wants to be added. I think will not be possible to map radio buttons since this is automatically added, this will need to be added from the back-end and I think this could be something like an option "Allow users to select multiple groups?" if you choose "yes" then add groups as check boxes, but if you choose "no" then add groups using radio buttons. Let me forward this thread to our second level, although we cannot provide an ETA about when this can be implemented, we will let you know via this thread when this is available. Hi. I'm not sure I understand "this will need to be added from the back-end". From your backend? I will wait for your second level support as I am sending the data collected to a Google Spreadsheet where the options are being passed and can import to Mailchimp later. Sorry for that, yes I was referring to our back-end team, and sure we will update you here as soon as we get some updates about the progress on this feature. Please also do note that this may take some time, as we need to get more requests from other users, if there are a lot of users requesting the same feature then this will be considered by our developers and it will be implemented. radio buttons would be a great feature to add! Thank you for letting us know you also would like this feature to be available. I would suggest you to open a new thread and request this feature, you may also provide us the details about how do you think this should work, we will be glad to escalate the feature on your own thread as well. I just had a thought... Could this work with a drop down menu? As per my tests, it didn't work either. Since the thread is already forwarded to our backend team to evaluate the request, once we have any update in this regard you'll be posted here. We have added this feature, but in an automated manner. 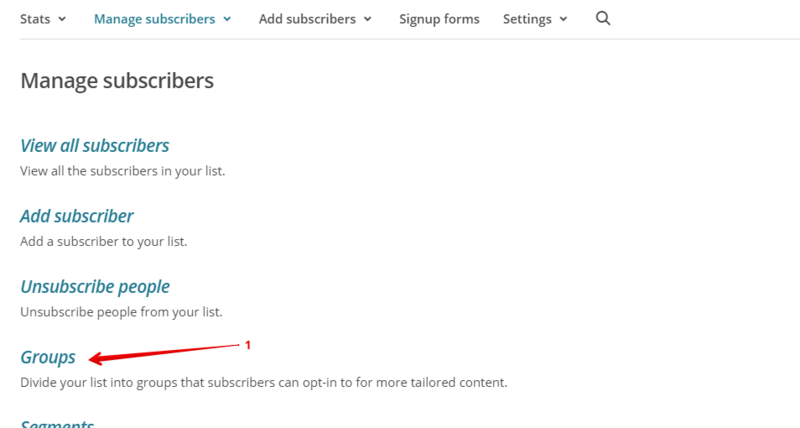 Tick the box "Let subscriber select their group" on the MailChimp wizard, then click Continue. 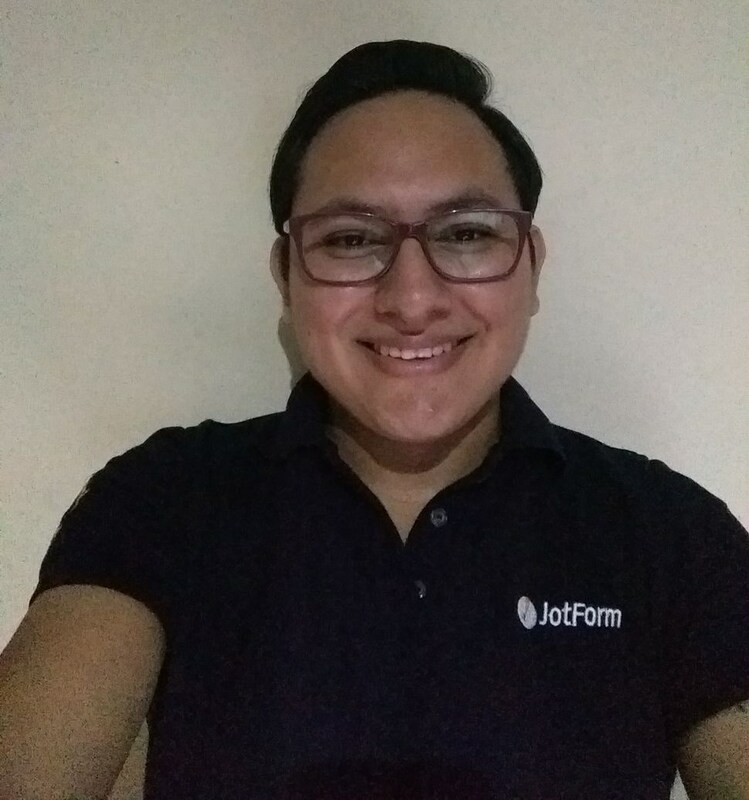 This will automatically add a field to your JotForm that corresponds to your MailChimp group's field type. For example, if your MailChimp group's field type is radio, our wizard will add a radio button to your form containing the groups. Please be advised, however, that while the radio field's label can be changed, the group options cannot. I tested the form and got the same results... the selection is not being passed to Mailchimp. Should I disconnect the integration and then reconnect? You can test the form here: greenbooktraveler.com (Please use jotform as your last name so that I can tell who you are). Yes, you should re-do the integration, I have just tested and can confirm what Neil said, it will add the field type based on the field type you have set in your groups. Please try removing the integration and adding it once again, it should add the correct type of field, also verify your groups are radio buttons in your MailChimp list, otherwise it will add the field type you've set in MailChimp. 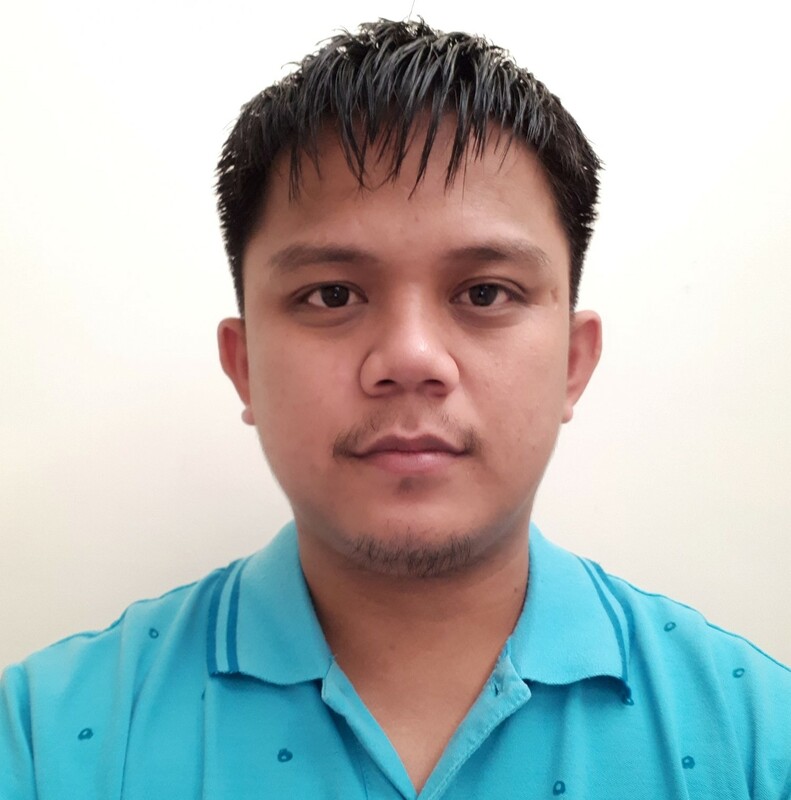 My form has been setup correctly from Mailchimp end, I will do the integration again. One concern... What will I lose when I do the integration again? I got that warning when I started to remove to old connection? And, please update us here if you can see the correct field type now, if you still do not see it, please share us a screenshot of the field type for your groups in MailChimp, here are the steps to get groups. 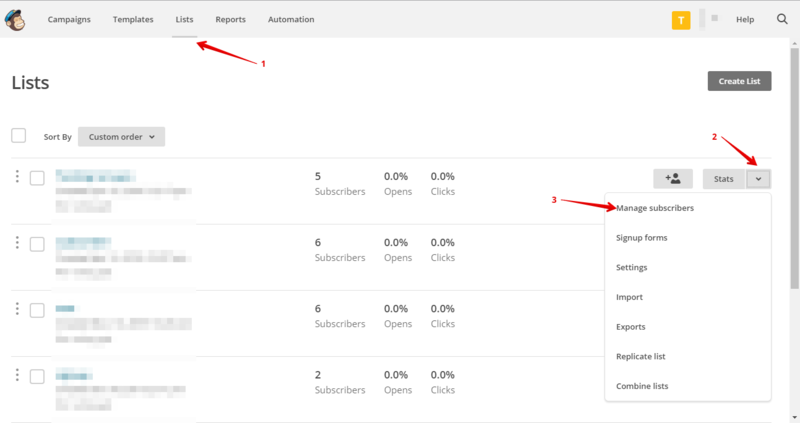 While on your MailChimp account, click on the lists section, then in the list you have your groups, click on the down arrow icon and click on the option "Manage Subscribers". Then click on the option "Groups". Hi is there any way that we can not make the label "Join Green Book Traveler As" from the options. I would like that statement to be the field label. Unfortunately, I don't think that is possible. 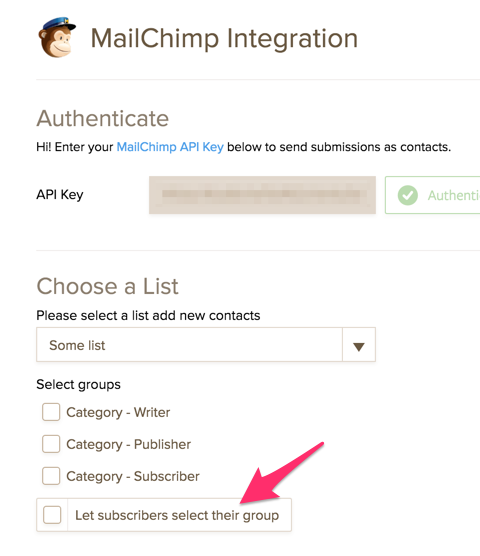 The workaround for that would be to use the label as the Group Name in your MailChimp list. Please try that. Or, try to rename the options, see if that works. We do not provide such group selection options at this time. Since you have added a separate 'Join Green Book Traveler as:' field, you can use it to automatically select corresponding options of the Mailchimp 'Become a part of our community' form field. This can be achieved with conditional logic and calculation values.